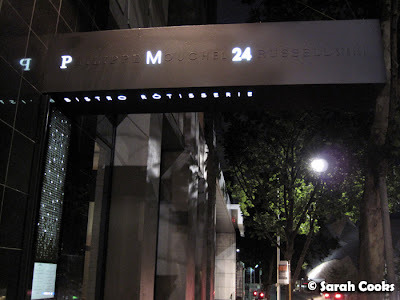 Some years ago, my favourite restaurant was The Brasserie by Phillipe Mouchel, in Crown. We used to visit reasonably often, for my dad's birthday in '05, my birthday in '06, and more recently for my graduation in '07. I remember they did fabulous snails, a wonderful tarte aux pommes fines, and they had a great value lunch deal. Then Phillipe left, and the food, well, took a turn for the worse. ("Jato standard", as my dad would say). So you can imagine how excited I was when, after hearing some faint rumblings and rumours, I read this article in The Australian, confirming that Phillipe was opening a new restaurant, PM24! (I was equally sad when I realised the new restaurant was taking over the space previously occupied by Murasaki, one of my favourite Japanese restaurants). 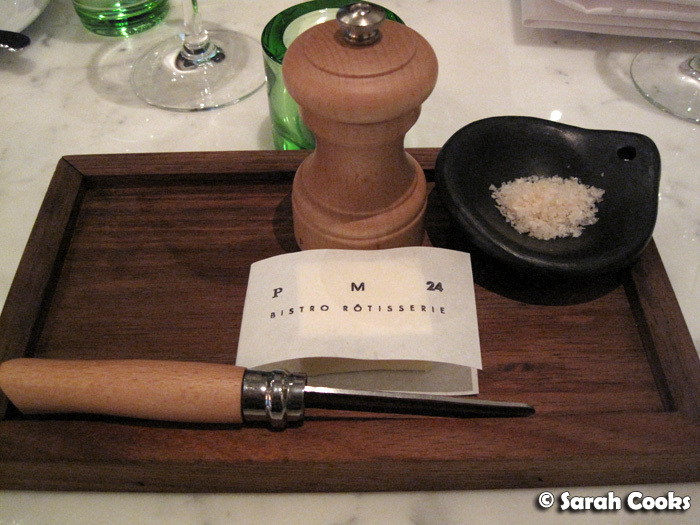 We visited PM24 late last year, on a Monday night, to find the restaurant pleasantly buzzing. 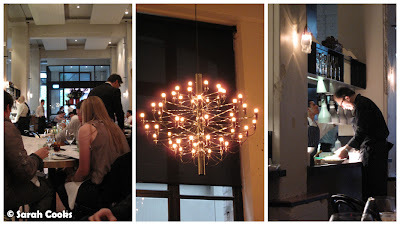 The space has been transformed since its Murasaki days - gone are the cream carpets, beige walls and noren curtains, replaced with bright white walls, exposed ceilings and arty lamps. I quite like it. 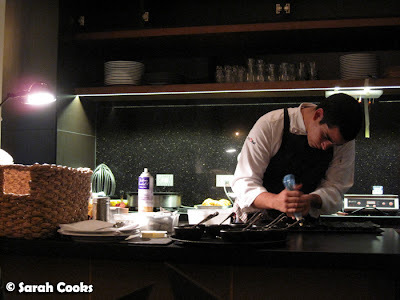 Phillipe was an energetic and constant presence throughout the night, standing outside the open kitchen and inspecting each dish before it was sent out. Many of the waitstaff will be recognisable to regulars of The Brasserie at Crown, and the staff's experience and familiarity with each other means that everything tends to run quite smoothly. On the night we visited, there didn't seem to be any of those teething problems you tend to associate with brand new restaurants. Our party of 4 was seated at a small round table. A typical Parisian cafe style table, it looked great, but wasn't particularly practical - in addition to the small table, the chairs had curved backs, which meant there was nowhere to put our bags. It's not very comfortable eating a meal with handbags balanced precariously on your lap! There was one positive about our location though - an unencumbered view of the pastry kitchen! The meal starts with freshly baked bread rolls (definitely fresh - you can see them being baked throughout the night! ), in a cute little cloth bag. 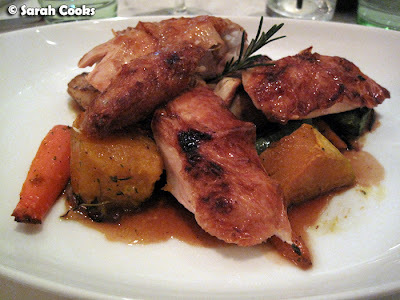 Sandra and I had our eyes on the Rôtissoire chicken, so we skipped entrées altogether. In fact, I find it difficult to finish a full 3-course meal in general. My parents, however, weren't quite so restrained. 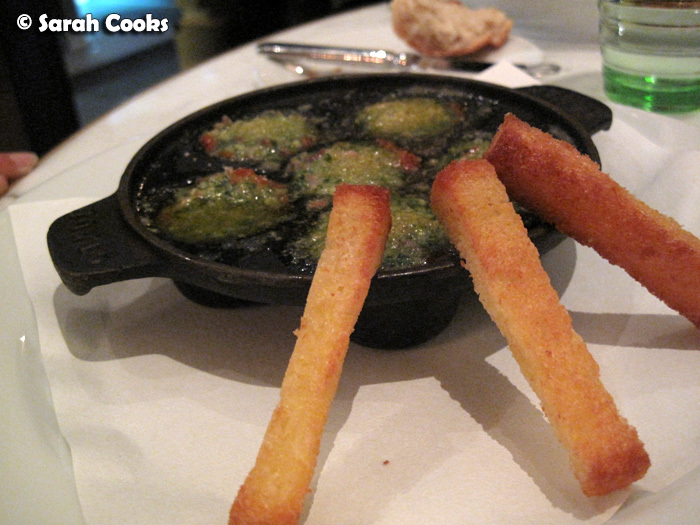 My dad was particularly excited to have the snails - it was his favourite dish at The Brasserie, and he'd had a very disappointing version at a visit to The Brasserie, post-Phillipe. 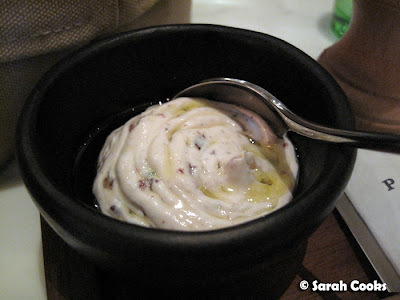 This one, though, was exactly what he was after - tender snails swathed in loads of butter and garlic. Mum's Niçoise salad was a little different from what I'd expected. 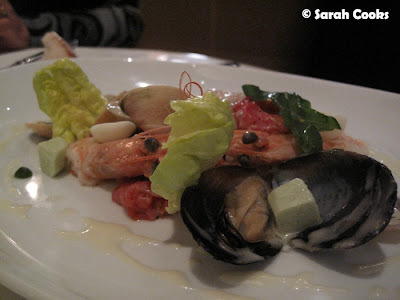 Rather than the traditional beans, tuna and olives, this version was closer to a seafood platter: prawns, mussels and clams, a few lettuce leaves, jade green cubes of asparagus royale, all lightly dressed. I didn't try any, but my mum enjoyed it very much. Mum's pork dish comprised 2 piggy discs: a crumbed and crisp croquette, and a thick slice of boudin noir, with a scoop of corn purée, and a cute fried quail egg. Quite intense, only for serious pork lovers! Sandra and I each ordered the Organic chicken. It takes 50 minutes to cook, slowly rotating in a rotisserie in the open kitchen. Ta-dah! Beautiful, isn't it? As it roasts, the juices from the chicken drips onto the vegetables, creating a wonderfully sticky, delicious accompaniment. 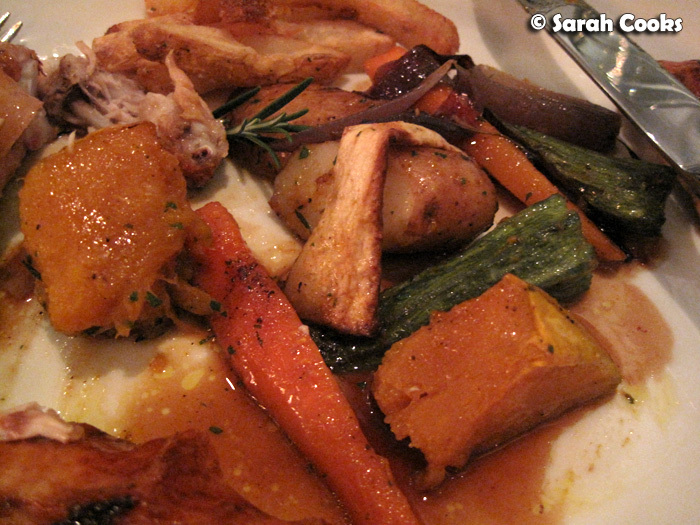 There were carrots, pumpkins, parsnips, potatoes, red onion and zucchini. It was an extremely generous serving, and even without an entrée I barely managed to finish my plate. I suppose we didn't really need sides, but we didn't realise how big the meals would be. We got peas "in the French style", cooked with lettuce and pancetta. 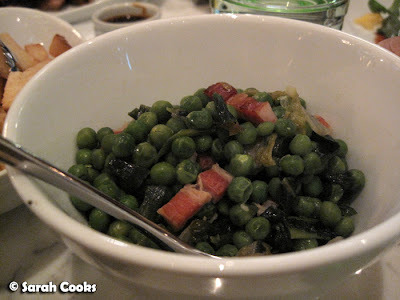 (I don't normally add pancetta to the French peas I often make at home, but it makes a nice addition). And fries! 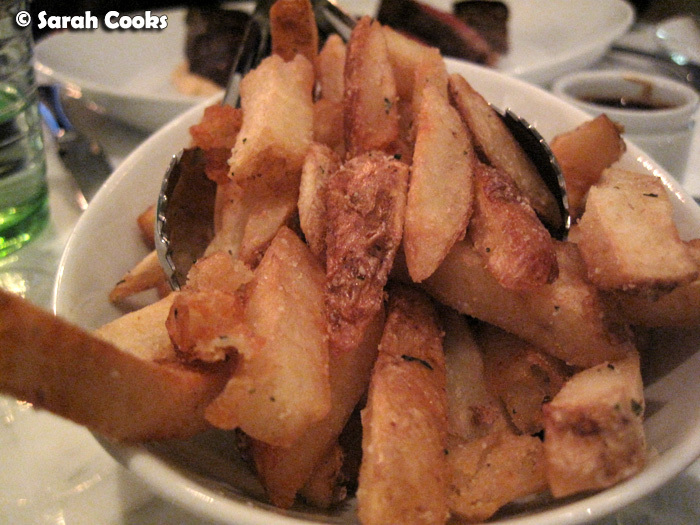 We can't not order French fries when we go out, and these were great. Slightly chunkier than traditional pommes frites, these were left unpeeled and very crispy. Perhaps they were double-fried? After that massive plate of chicken, and more than my fair share of chips, I didn't want my own dessert. But that's not to say I didn't sneak a few bites of the ones we did order! Unfortunately, the chocolate waffles I saw on their online menu were no longer available (dang, I'll have to make my own), so we went for more classic desserts. 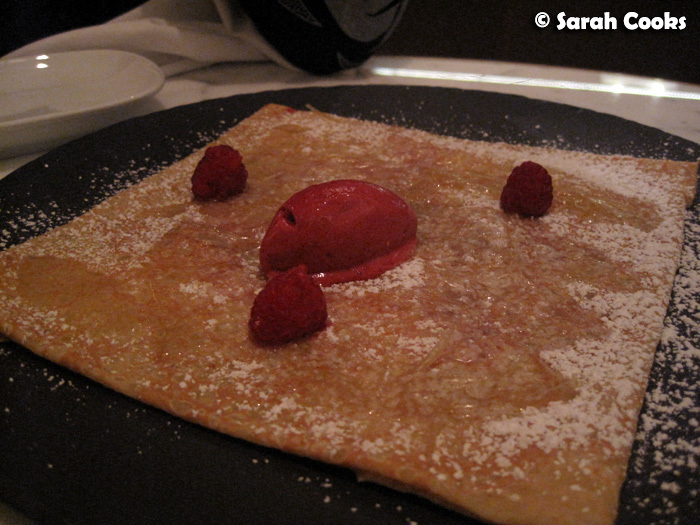 The crepes are made to order (again, you can see the pastry chef make them!). They are filled with a thick smear of lovely lemon curd, and topped with a few raspberries and a quenelle of raspberry sorbet. 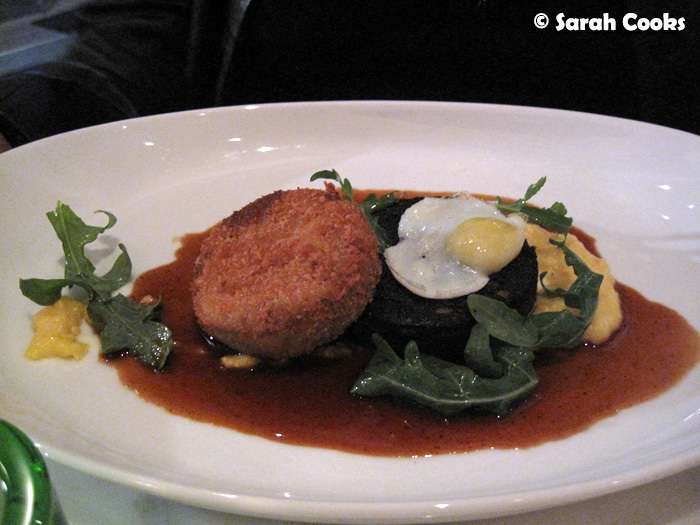 I loved the plate it was served on - a large black disc with a rough texture. Want! 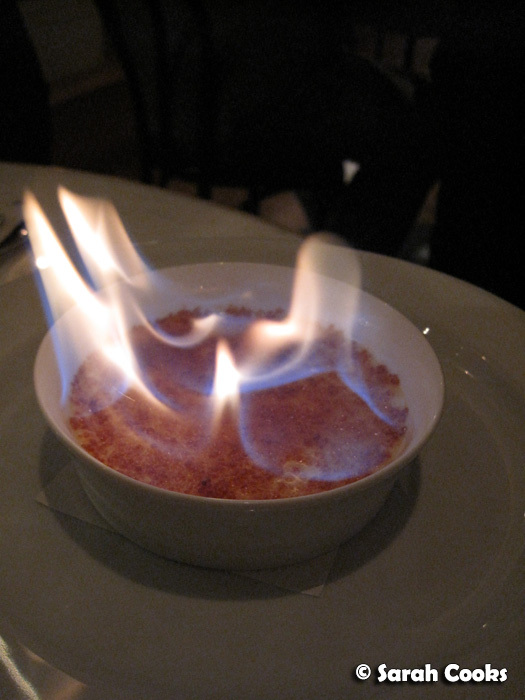 The most dramatic dish of the evening was the Tahiti vanilla crème brûlée. Rather than being pre-blowtorched in the kitchen, the sugar-topped custard is brought to the table and set alight! Oooh...! How great does that look! The downside to the dramatic approach is that the sugar didn't get crackly all the way across. 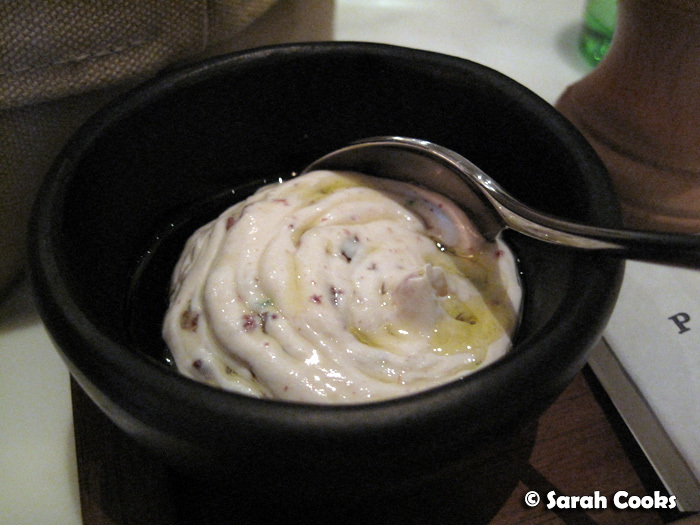 However, the custard was rich and creamy and full of lovely vanilla-bean flecks. So far so good for the new PM24. It made a great first impression, and I can't wait to go back and try some more! I love the brasserie a lot! 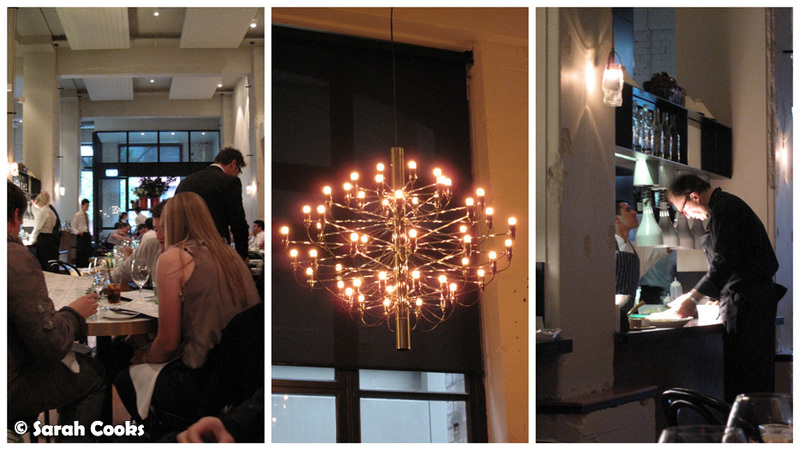 When I first arrived melbourne, I always head to brasserie to nurse my homesickness. :) I brought my mom there three times, and my dad twice. Glad to hear that Phillipe Mouchel has gone on to his own restaurant - it'd be a sad day if that talent went into hiding! Everything looks incredibly good. Shall have to head over there soon! If you are going again, let us know? Everything looks so good. 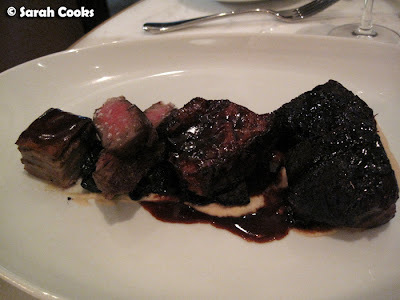 I used to love the Brasserie too, can't wait to try Phillip new restaurant. What did the meal cost for each person approximately? Hannah - Hehe thanks! The flame actually burnt for a long time (they sprayed alcohol on the creme brulee before lighting it and it burned for ages! Michelle - I used to go to the Brasserie with my family too. Have you tried PM24 yet? Celeste - I'm glad too! It seemed to be a long break between The Brasserie and PM24! Thanh - With what we ordered, (No wine, 2 entrees, 4 mains, 2 desserts, no coffee/tea) it was about $70 a head. 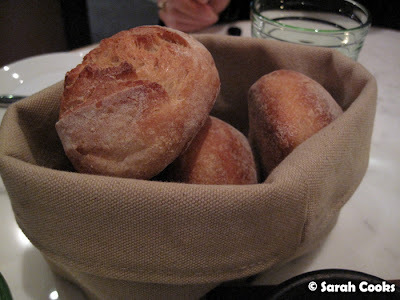 Oh I really liked The Brasserie by Phillipe Mouchel as well. Will have to check this place out!